Background: A failed 1916 Easter Monday Rebellion touched off several years of guerrilla warfare that in 1921 resulted in independence from the UK for the 26 southern counties; the six northern counties (Ulster) remained part of Great Britain. 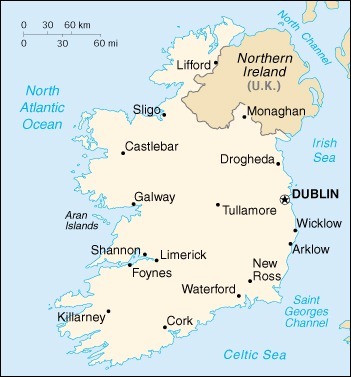 In 1948 Ireland withdrew from the British Commonwealth; it joined the European Community in 1973. Irish governments have sought the peaceful unification of Ireland and have cooperated with Britain against terrorist groups. A peace settlement for Northern Ireland, approved in 1998, has not yet been implemented.